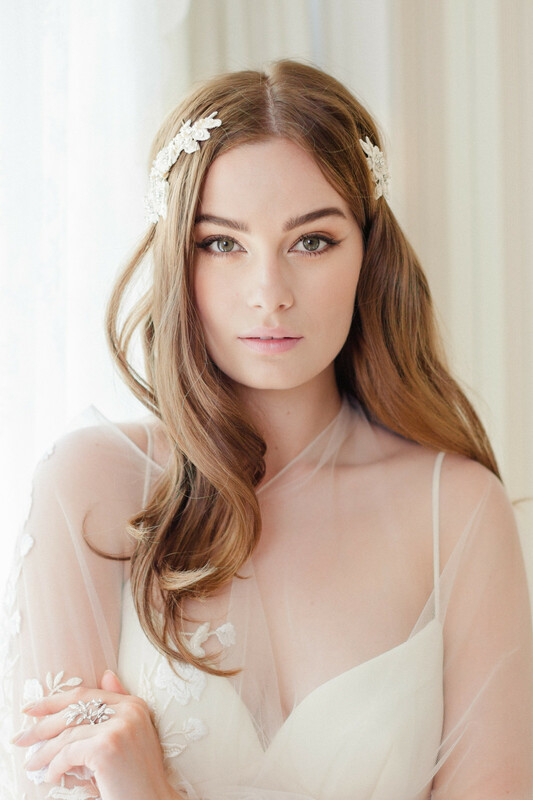 Fall in love with our Josefine! 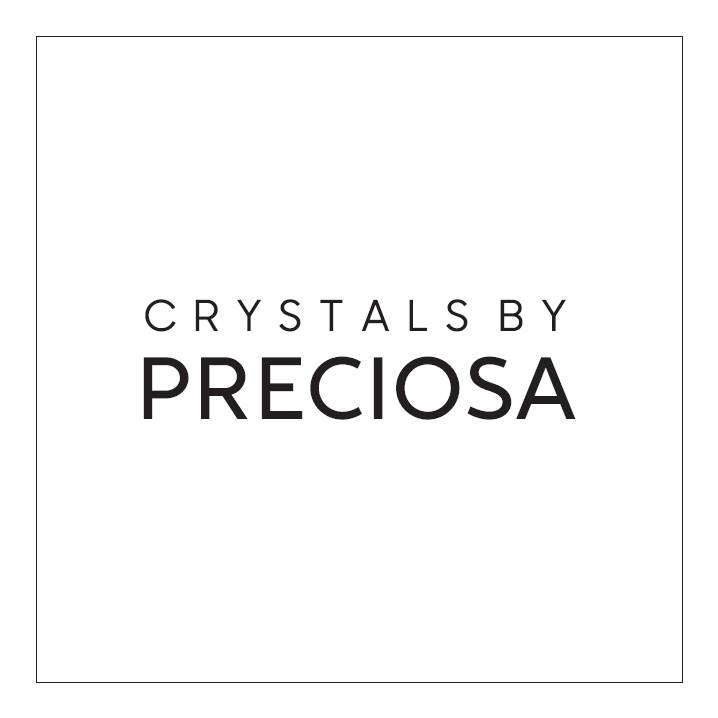 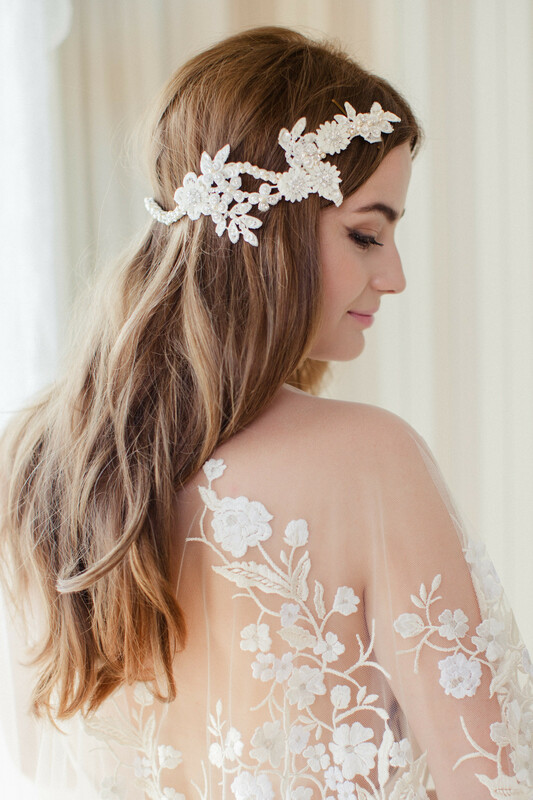 It is so glam and boho chic - adorned with hand beaded guipure lace flowers, French lace, Preciosa crystals and pearls. 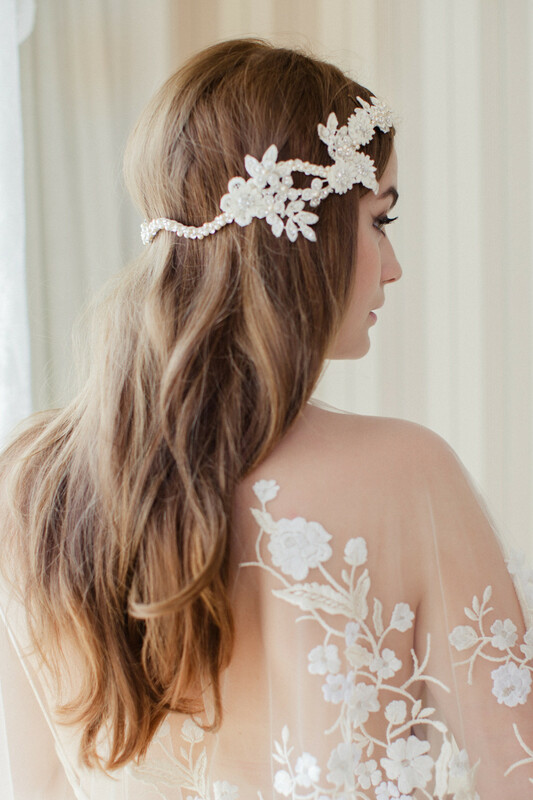 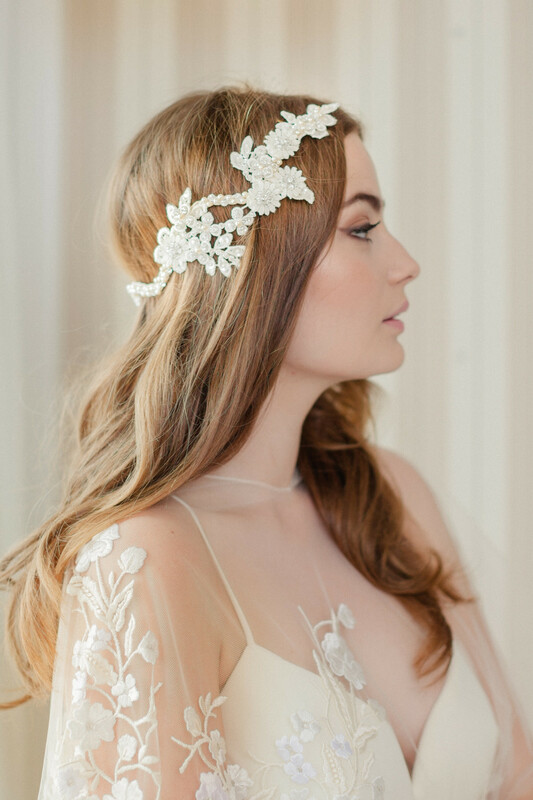 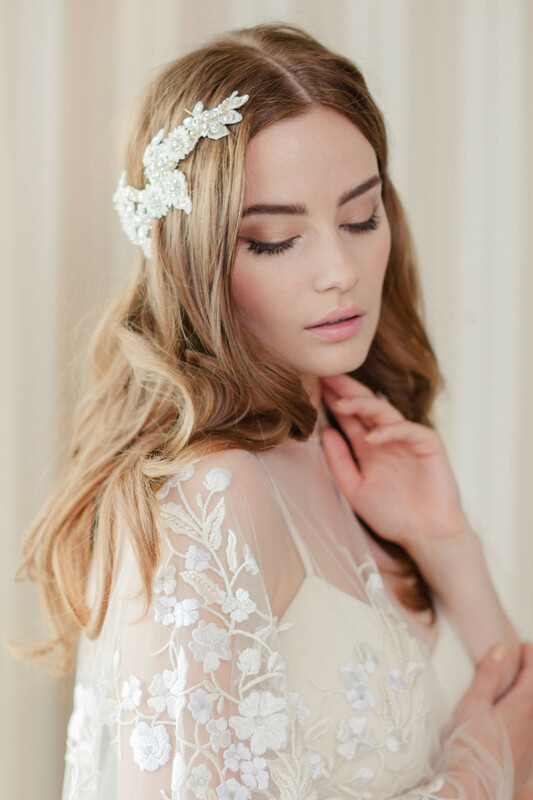 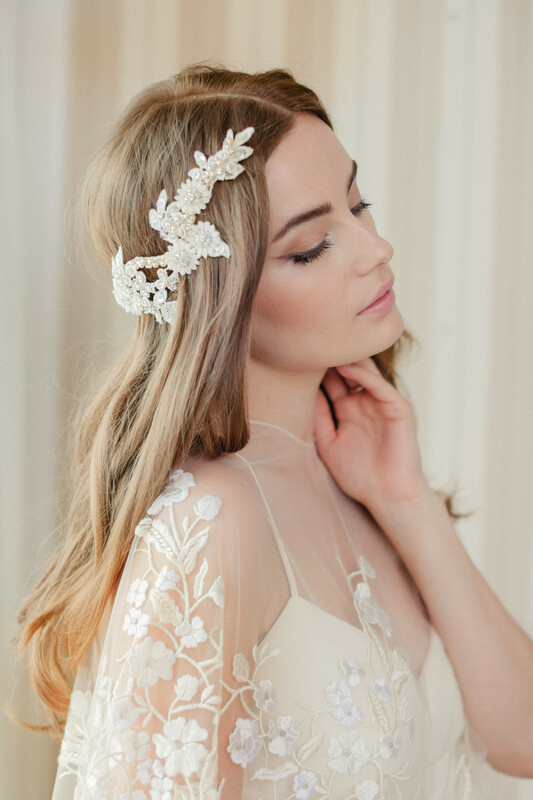 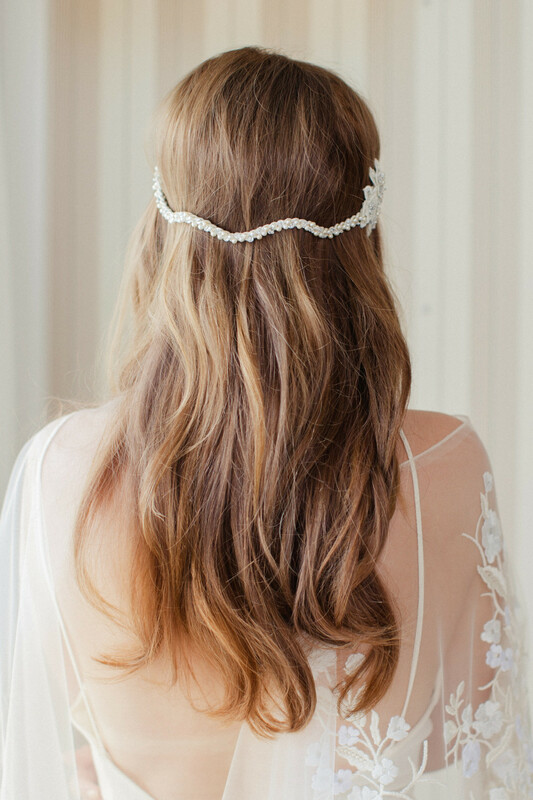 This headpiece goes all the way around the hair, and is a beautiful option for a bride, as the back detail will be visible when walking down the aisle.